Thread: I got an email from Duke. 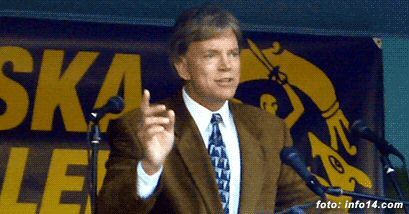 David Duke. You'll likely be apalled. I was when I was lead there through SA. So anyway, I don't email anything or anyone nearly enough as I should, so I thought it'd be fun to do so. days, I would rejoice in glee. That is the most idiotic piece of writing I have ever read. superior, I have read a lot more intelligent letters from Negroes. would have fit right in with the brutal, nobrains of New Orleans. Yes I do unfortunately share the common racial categorization of "white". If that was truly the most idiotic piece of writing you have ever read, then you need to read more. I am also glad to know I am helping prove that race doesn't equal superiority. I am sorry for calling you a prick, that was crude. Not entirely untrue, but crude, as well as mild. Personal attacks are so immature though, don't you agree. I'm interested to know why you think the people trapped in NO are "nobrains". 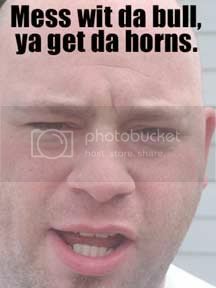 If there are any real nobrains there, it'd have to be the National Gaurd. My name isn't timothy parker. You don't acomplish anything with personal attacks. That's what you resort to when youre losing an argument. And besides, if you'll notice, my "taking back" of it produce a more underhanded insult. Maybe he thought you were white because you said "liek". Dude... why are you emailing this guy?! I don't understand the purpose of this..
What are you not getting? I saw a link on SA about his idocy, and felt like e-mailing him. he is a racist that ran for was it govenor of Alabama or something? Its been a while and I can't remember exactly what office or state. Last edited by Scubasteve; September 7th, 2005 at 11:20 AM. So he's like... A white, black-supremecist? Or what? David Duke is a rabid white-supremacist. KKK. o_O Judging by the letters he seems more like a black dude- "Proving that white people are not superior." A very disturbing link. He looks to be right on course to restart the Nazis. I would imagine its a waste of time to email him though Bluemech. I'm supprised he emailed you back. Aren't the KKK on the increase in America? or is this not true? I hope not; I'm here in the states and haven't heard bupkiss so I don't think so. I only took a brief look but if he is a politician you think he would work on his public manners alot more. Oh....I thought he was one of the Dukes of Hazzard....probably more like Boss Hog though. Yeah, he's definately got a Trump thing goin' on there. What is wrong with the Duke?